This post is also one of the long pending post. I have these swatches since march end but I couldn't post them due to move. El Corazon released Nail Party collection back in February 2015. This collection has ten shimmer shades. Today i have swatches of five of them to share here. Continue reading to know more. 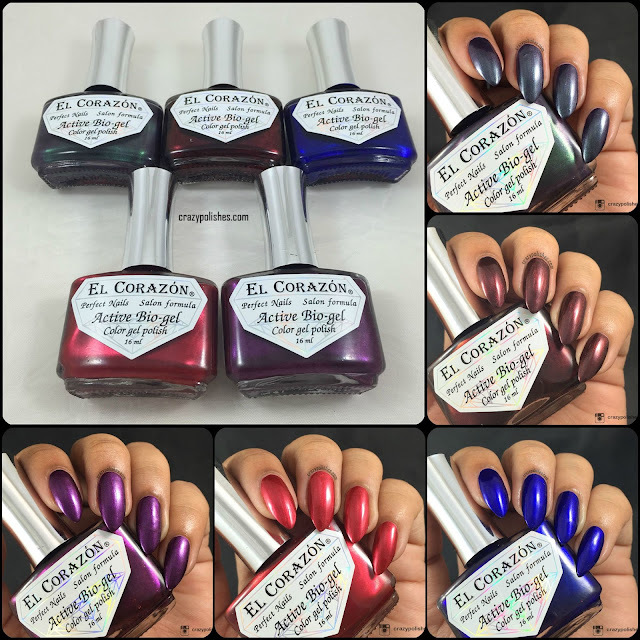 Before this collection El Corazon never named their polishes, i mean they numbered them but not literally named them. so, this is something special about this collection, they numbered as well as named these polishes. These are active bio gel formula which dries quick and shiny. Formula is very nice and these are pretty opaque. I used two coats without top coat for all the pictures. First is 423/621 Blackberry Caipirinha. It is a deep purple shade with green shimmer. It looks like a duo chrome and is real beauty. El Corazon 423/622 Long Island is burgundy black with red burgundy shimmer. This polish look gorgeous in person because the shimmer is incredible in this. El Corazon 423/623 Tsunami is a royal blue shade with tiny blue shimmer. El Corazon 423/626 Strawberry Margarita is crimson red shimmer shade. This is one of the classic shade. El Corazon 423/628 Black Sabbath is a purple shimmer polish and another beauty from this collection. If you ask me which one of these are my favorite than i have no answer because i love all the above shades. They all are pretty and nice. Application is great and I think they will stamp too though i haven't checked. 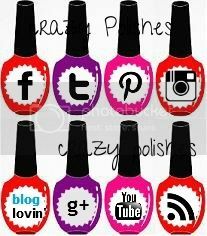 El Corazon now ships worldwide through their website and these are also available at Hypnotic Polish. Can you tell which one is your favorite?